This guy came walking down the beach when I was at the Outer Banks. 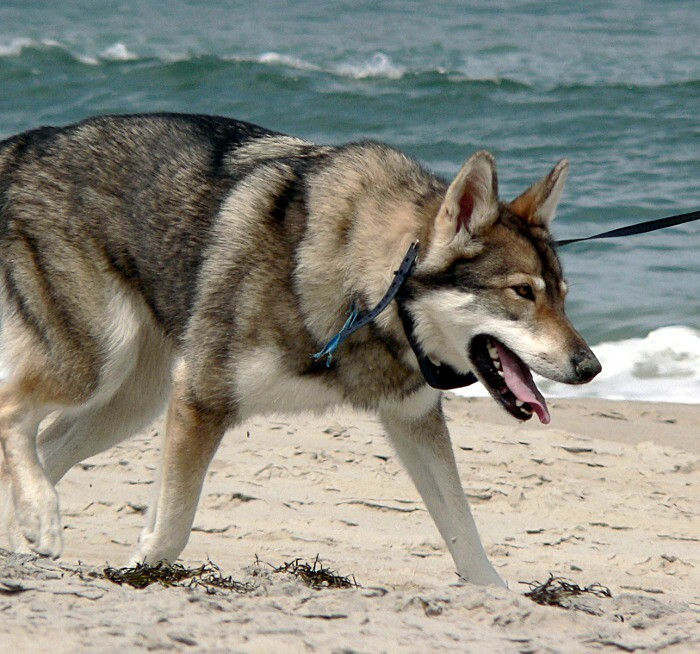 They said it was a Tamaskam, very rare and they where bred to look like wolves. Link if you are interested. Wow! How beautiful! Your photo is so sharp; really showing this beautiful animal to his finest! Fantastic animal an shot, dear Jim! !